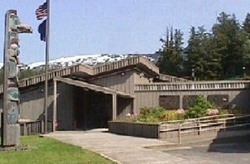 Ketchikan like most institutions offers a variety of programs the inmate can take advantage of during their stay. Two of the most common programs offered by this facility are Alcoholics and Narcotics Anonymous, both are programs aimed at recovering from a dependency on substance abuse. Basic adult education and GED programs are also available to inmates who need them, as well as computer and parenting classes. Vocational programs include a food handling course. If you have been sentenced to serve time at Ketchikan you must report on the day specified by the court between the hours of 8am-3pm. You should bring your photo ID and the judgment of the court that has sentenced you along with you. You will be given a field sobriety test, searched, stripped and searched again, placed into inmate clothing and begin your medical/psycological assessment. If you are sentenced to more then 10 days it is a good idea to bring a small amount of cash with you that can be put into your inmate account during the initial processing. You will be able to use this money to make a purchase from the commissary. There are two types of visitation at Ketchikan. The first type of visitation is called contact visitation. This is where you sit at a table with the inmate. The second type of visitation at this facility is secure visitation. Secure visitation is where you have a glass partition that separates you from the inmate. You will need to contact the inmate of the facility to see what type of visitation they are eligible to receive. The visiting hours at this institution are Monday-Sunday from 8:30am-11:00am and again at 6:30pm-8:00pm. Lockers are provided by the institution for visitors to store personal items in while they visit.